San Diego Comic-Con was this weekend. As usual, there are a LOT of news and spoilers out! Too much for me to gather everything, but hopefully, I hit the highlights for the genre shows! You can check out YouTube for different highlights from different panels, including some panels in their entirety. A good place to start for highlights is the Flick and the City channel. Spoiler TV also has a page on their website for panel links. They gradually collect them all and add them to the page as they go, so check them out as well! Several shows had some big news this weekend: Wynonna Earp has been renewed for a third season. Iron Fist has been renewed for season two. The Originals will be ending this season. The 100: The Comic-Con panel showed a sizzle reel for the show. TV Line has up a video interview with the cast. TV Line has up some highlights from the show’s panel. 12 Monkeys: The show released a new trailer for their fourth and final season. American Horror Story: Ryan Murphy revealed another clue for the new season on his Instagram. The show also has a premiere date: Tuesday, September 5. Arrow: There’s a new trailer out for season six. TV Line has up some spoilers from the panel. The show also announced that actor Michael Emerson (Person of Interest) was joining the show in a recurring, mysterious role. Black Lightning: There’s a new trailer out for the new superhero show. The show has added actors James Remar ( Dexter) and Damon Gupton (Bates Motel) to the show as series regulars. Remar will play Peter Gambi, the oldest friend of Jefferson Pierce/Black Lightning and Gupton will play seasoned lawman Inspector Henderson. Colony: TV Line has up a video interview with the cast. The Defenders: There’s a new trailer out for the show. Deadline has up some details from the show’s Comic-Con panel. TV Line has up a video interview with the cast. Dirk Gently: Syfy has up an interview with the cast on season two. There’s a sneak peek for season two on the show’s official Twitter account. Doctor Who: The trailer is out for the Christmas special, “Twice Upon A Time.” Spoiler TV will have up the full panel of the gang at Comic-Con soon, but if you want to just see Peter’s ‘thank you’ speech, you can see it on Flicks and the City‘s YouTube channel. IMDb has up an interview with Peter on the best time to leave the show. EW has up the advice Peter gave to new Doctor Jodie Whittaker. Pearl and Michelle spoke with TV Line about their characters’ potential returns. Syfy has up a video interview with the ladies, too, as well Yahoo. EW has up the second official photo for the Christmas episode with Peter Capaldi and David Bradley. Steven Moffat spoke out against the idea of a backlash against a female Doctor. The Exorcist: The show has added to its second season cast actress Zuleikha Robinson (Still Star-Crossed). The Expanse: There’s a new trailer out for season three. The show has adde actress Elizabeth Mitchell (Lost) to the cast for season three. Fear the Walking Dead: Deadline has up some highlights from the show’s Comic-Con panel. TV Line has up a video interview with the cast. The Flash: There’s a new trailer out for season four. The show also announced some casting news. Actor Neil Sandilands (The 100, The Americans) has been cast as villain Clifford Devoe, AKA The Thinker. Danny Trejo (Machete, From Dusk Till Dawn) has been cast as Breacher, a feared bounty hunter from Earth-19 and the father of Gypsy. Kim Engelbrecht (Dominion, Eye in the Sky) has been cast as The Mechanic, a highly intelligent engineer who works for Devoe and is devoted to his cause. TV Line has up a video interview with the cast. Game of Thrones: Deadline has up some highlights from the show’s Comic-Con panel. TV Line has up some video interviews with the cast on their favorite scenes. EW has up interviews with actress Jessica Henwick and actress Nathalie Emmanuel on this weekend’s episode. The Gifted: There’s a new trailer out for the series. TV Addict has up interviews with the cast. Gotham: There’s a new trailer out for season four. The show has cast actress Crystal Reed (Teen Wolf) as Sofia Falcone, the daughter of Don Falcone. TV Line has up a video interview with the cast. Inhumans: There’s a new trailer out for the show. TV Line has up a video interview with the cast. Ironfist: Along with the renewal news, the show is also getting a new showrunner in Raven Metzner. iZombie: The show has upped Robert Knepper from recurring to series regular for season four. TV Line has up a video interview with the cast. Legends of Tomorrow: There’s a new trailer out for season three. It was announced that actor Neal McDonough (Damien Darhk) has been promoted to series regular, while Arthur Darvill (Rip Hunter) and Wentworth Miller (Captain Cold) will be back in recurring status. TV Line has up some highlights from the panel. Legion: EW has up the first page of the scriptfor season two’s opening episode. Deadline has up some highlights from the Comic-Con panel. Actor Saïd Taghmaoui (Wonder Woman) has been cast as Amahl Farouk AKA the Shadow King. TV Line has up a video interview with the cast. Lucifer: There’s a new trailer out for season three. It was announced that actor Tom Welling (Smallville) would be joining the show as a rival for Lucifer. Midnight, Texas: Deadline has up some highlights from the show’s Comic-Con panel. Once Upon A Time: There’s a new trailer out for season seven. Deadline has up some details on the show’s Comic-Con panel, as well as the scene that they debuted there. TV Line has up their own set of highlights. TV Line has up a video interview with the cast. The Originals: At Comic-Con, the panel showed a sizzle reel for the show. The cast also spoke to TV Line about the coming season. The show has recast the character of Hope with 17-year-old actress Danielle Rose Russell (The Last Tycoon), officially making her a teenager in a 5-year jump when the show returns. You can catch a glimpse of her from a scene they released at their panel. The show is also promoting recurring actor Steven Krueger (Josh) to series regular in season five. Outlander: There’s a new trailer out for season three. Deadline has up some highlights from the Comic-Con panel. TV Line has up some highlights, as well as a video interview with the cast. Preacher: The show has a new trailer out for season two. The Runaways: The first teaser has come out on the show’s official Twitter account. Shadowhunters: TV Line has up a video interview with the cast. It was announced at the panel that actress Alisha Wainwright (Maia) has been promoted to series regular. The Shannara Chronicles: Spoiler TV has up the first promotional art for season two. Star Trek Discovery: There’s a new trailer out for the show. TV Line has up some spoilers and highlights from the show’s panel at Comic-Con, as well as a video interview with the cast. The official Star Trek YouTube channel has up a lot of interviews with the cast. The official site also has up some highlights from the panel, as well as photos. EW has up an interview with showrunner Aaron Harberts on the differences with the Klingons in this series compared to the others. Syfy has up some interviews on the show. Stranger Things: There’s a new trailer out for season two. The cast spoke with TV Line about season two. Supergirl: There’s a new trailer out for season three. TV Line has up an interview with the cast from Comic-Con. Some casting news was announced at Comic-Con. Actor Adrian Pasdar (Marvel’s Agents of S.H.I.E.L.D) has been cast as villain Morgan Edge, a charismatic capitalist. Carl Lumbly (Alias) has been cast as M’yrnn J’onzz, father of J’onn J’onnz. Yael Grobglas (Jane the Virgin) has been cast as Psi, a psychic villain who uses people’s own minds against them. Emma Tremblay (Elysium) has been cast as Ruby, a fan of Supergirl. Calista Flockhart is set to return in the season premiere, as well as on tap to be recurring for season three. Teen Wolf: Deadline has up a few quotes from the show’s Comic-Con panel. TV Line has up a video interview with the cast. Timeless: The cast and crew spoke with TV Line at Comic-Con. Deadline has up some highlights from the show’s panel. TV Line has up some highlights from their panel as well. The Walking Dead: EW has up a photo of Rick and Maggie, conspiring to overthrow Negan. After the tragedy of stuntman John Bernecker’s death during filming, the show pulled back from some of its Comic-Con festivities, but still did have their panel. Deadline has up some highlights from it. Westworld: There’s a new trailer out for season two. The show has added to their cast actors Neil Jackson (Absentia) and Jonathan Tucker (Kingdom). Filming for season 13 has begun. The show has switched its reruns to Wednesdays at 9pm (this week is “Family Feud”), but will still return to 8pm on Thursdays when the new season begins on October 12. Its lead-out will be Arrow. Thanks to Eva for the change in the reruns day. Warner Bros has announced details about the upcoming Wayward Sisters spinoff. As we already know, it will star Kim Rhodes (Jody Mills) and the rumor that Briana Buckmaster (Donna Hanscum) is in it was confirmed. Also starring will be Kathryn Newton (Claire Novak) and Alex Jones (Katherine Ramdeen), as well as new character Patience Turner (played by Clark Backo). Patience, the only character we haven’t met yet, is a high school nerd and the granddaughter of Missouri Moseley from season one (who, it was confirmed at the show’s Comic-Con panel will return, probably for the backdoor pilot in time to get killed off). Patience has inherited her estranged grandmother’s psychic gift. While I’ll readily admit to huge reservations about this writing team doing a premise like this right (especially an African American character like Patience after what they did to the Family Banes last season), I do like the cast. So, I’m pulling for this to be done right. Expect some crossovers à la the superhero shows if the backdoor pilot this season is picked up to series. So, let’s talk San Diego Comic-Con and that panel. The best I can say about the panel itself spoilers-wise is “Well, that happened.” There was no promo or gag reel, though the rock group Kansas did perform “Carry On, Wayward Son” live at the beginning, which was pretty cool. But musical stunts like that often are used to mask terrible storytelling. Only the first half or so of the panel was devoted to spoilers and they were rather thin on the ground. The order in which the GoHs entered (after Kansas performed, and hosts Richard Speight Jr. and Rob Benedict came in) was rather interesting: Bob Singer and Jensen Ackles, then Jared Padalecki, then Andrew Dabb, and then, after a few minutes, Misha Collins. Very different from last season, when it was Singer, Dabb, Padalecki, Ackles, Collins, Mark Sheppard and Samantha Smith. Also, Dabb didn’t talk much this time round. Singer did most of the showrunner talking. You can catch vids of Kansas and the three-screen room here, here and here. Castiel is really dead (“more dead than usual“), but that won’t stick. In a recent Chicon panel, Ackles discussed a scene they were filming on July 14 in which Ackles played a prank on Collins while Collins was trying to play dead and Ackles was miming Dean checking for signs of life. The show wouldn’t have had Collins in that scene if Castiel were dead and not coming back (remember how in “Sympathy for the Devil,” the season five premiere, the Brothers were stuck in the room with Lucifer, but the dead bodies of Lilith and Ruby were nowhere to be seen? Like that). Also, Misha Collins is still a regular on the show and was at the panel. He came in late and there was a running joke about his having been fired, but refusing to acknowledge it. Collins was also in other promotional events, signings at the WB Booth, and a goofy EW “dance party” (here and here ) with Ackles and Padalecki, and did a brief interview with them for TV Guide. Bob Singer also essentially admitted that Castiel will be back as Castiel. Somehow. Mary is not dead and will be seen in the alternate universe. Apparently, Sam thinks she’s alive and wants to look for her. Dean thinks she’s gone for good and wants to concentrate on more pressing matters. This sounds waaaaayyy OOC for Dean, to be honest. Anyhoo, Mary is pretty obviously coming back as a regular recurring character, though Samantha Smith was not at the panel. Crowley’s suicide was mentioned and discussed several times, so he’s dead. Rowena’s death was also mentioned, but nobody said that would necessarily stick. There was talk of bringing back alternate versions of long-dead characters, which pretty much guaranteed we’ll see Alt-Bobby again and possibly Alt-Gabriel. Assuming there are alternate versions of the archangels. Padalecki noted that Sam would wonder, What if shooting Jack didn’t do the trick? Ackles said that Dean feels it would be better to know that up front. Considering that Dean’s instincts about characters like this are always right and Sam always puts his faith in the wrong powerful characters or groups (remember the LoL last season? ), that’s pretty much admitting that Jack will turn out to be evil. Not to mention that Kelly’s death was brought up, as well as the possibility that Jack has some of her “goodness” in her, but no one said anything about Jack trying to save/resurrect his own mother. You’d think that would be the first thing he’d do if he had the capacity for love and goodness. Andrew Dabb kept talking about how the Brothers started season 12 as “happiest” for them and in season 13, “we just murder.” I have no idea what season 12 Dabb is talking about, but it’s not the one I saw. Maybe it was in that alt-universe from the season finale. There was much talk about a recent dream Ackles had about the end of the show and Sam dying in the last episode. In his press room interview, Ackles said the show will pick up immediately upon the cliffhanger, with “Cas lying dead at Dean’s feet.” Overwhelmed, and filled with rage and grief (Ackles hopefully hinted the start of a major breakdown arc), Dean will ask God to resurrect all of the dead (including Crowley), though God will apparently not respond. Dean will then go after Jack with lethal force. Sam will try to stop Dean. Ackles also talked about being asked by the group Kansas to perform up on stage with them. Struck with fannish stage fright, he declined, preferring to watch. Apparently, the group are fans of the show. In response to a question about other Hunters on the show, Ackles said he’d like to see some, but it sounds as though none have shown up in the scripts he’s seen so far. About the animated Scooby-Doo episode, he said most of it would be animated, aside from a beginning and ending filmed in the “real world.” Ackles seemed quite perky about the episode. Asked about how long the show may last, Padalecki ambiguously said it would end when the showrunners decided the quality could no longer continue. He actually gave fewer spoilers than Ackles. Misha Collins first discussed DNRs (“Do Not Reveal”) and then went into a bit about what happens after Castiel’s death and the Brothers’ “grieving process.” He says that Castiel, when he comes back, will at first be in a realm that has been talked about but never seen before on the show. He will be alone there save for another being, “played by a great actor,” who is very powerful (Michael? Gabriel? Someone else? Spec away). He also said this will be the last year he does GISHWHES. Andrew Dabb talked a bit about the alt-verse and about how Sam and Dean are trying to get back to it to save Mary. He talked about how any old-new character who comes back has to “change” to justify their return and not be a cameo. He said the Banes twins won’t be in the spinoff, but may have their story resolved in the main show. He talked briefly, but vaguely, about the Scooby-Doo episode and hinted that Alt-Michael might be the character Castiel meets in the Other Place. Writing is up to episode 11, already, and an episode similar to “The Vessel,” “but more ambitious,” is coming up in the first batch. Bob Singer talked about how the Brothers respond to their grief, with the theme of last season being “family drawn together,” while this season is “family torn apart.” Oh, yay. Business as usual, then. Singer said Sam wants to open up the alt-verse rift, even though Dean worries it’s too dangerous (in the panel, they talked about how Mary intentionally sacrificed herself going through the rift, so she may not be thrilled to find out Sam risked it all to rescue her). More blather like last season about going “smaller in scale” (I am really beginning to hate that phrase). The spinoff will be a two-parter, 13.09 and 13.10. The Brothers will be strongly involved in 13.09 and barely in 13.10. No repeats last week, so no ratings this week. 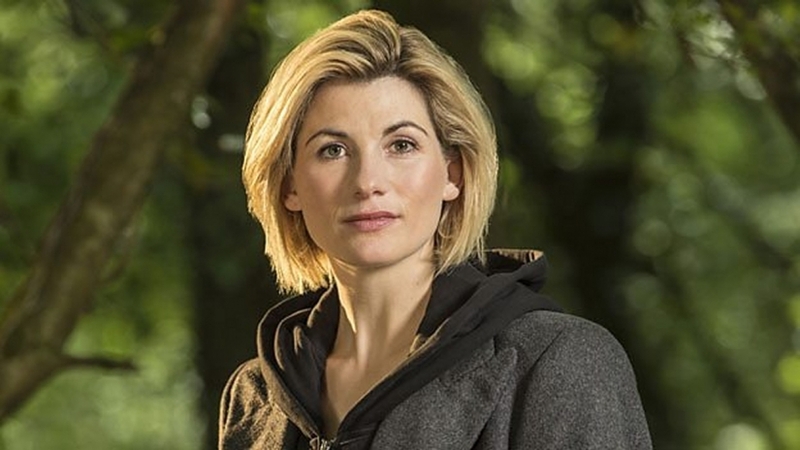 Big news: The new Doctor has been cast and it’s actress Jodie Whitaker (Broadchurch). This makes it the first time the Doctor will be a woman, though not the first Time Lord who has changed into a Time Lady. The last couple of seasons has seen the Master turned into the Mistress (AKA Missy) played by Michelle Gomez. Jodie formerly worked with new showrunner Chris Cibnall on Broadchurch and had been rumored to be one of the front runners for the Doctor in the betting clubs for the past week. BBC America has posted her intro video and short interview on their website. Welcome to the world of Who, Jodie! In some Comic-Con news, BBC is bringing Doctor Who to Hall H in Peter Capaldi’s last year as the Doctor. They are also bringing quirky show Dirk Gently’s Holistic Detective Agency. Hall H will be busy, as AMC is also bringing their shows The Walking Dead, Fear The Walking Dead, and Preacher. Outlander will be making an appearance at Comic-Con again this year. While HBO will be bringing Game of Thrones for another appearance, and Westworld in their first-ever appearance. In fabulous news for fans of Netflix’s recently cancelled Sense 8, it was announced that Netflix will be bringing the show back for a two-hour wrap-up special. San Diego Comic-Con is this week Marvel is bringing new shows The Defenders, The Gifted, and Inhumans, as well as freshman show Legion. Marvel will not, however, be bringing Agents of S.H.I.E.L.D. Warner Brothers is bringing along veterans Supernatural, The Flash, Lucifer, Supergirl and Arrow, as well as new show Black Lightning. EW has up a list of the movie and television show panels that have been announced so far. 12 Monkeys: The show has cast actor Conleth Hill (Game of Thrones) in a two-episode arc as a character named Bonham. American Horror Story: Lady Gaga will not be returning for the coming season. Ryan Murphy on his Instagram announced the return of Twisty the Clown. Arrow: Stephen Amell gave some hints about next season at a recent convention, including the news that Manu Bennett would return as Slade Wilson. EW has up an interview with actress Juliana Harkavy on playing the new Black Canary. Black Lightning: EW has up an interview with executive producer Salim Akil. The Defenders: EW has up a breakdown of the series. They also have up an interview with Sigourney Weaver on her villainous character. Doctor Who: The final ratings came out for the episode, “The Eaters of Light.” The show was watched by 4.73 million viewers, making it the most-watched show for Saturday and the 26th most watched show for the week. The episode, “World Enough and Time,” has overnight ratings out, for a day that had low ratings for everyone that Saturday, the highest rating being four million. The episode had an Appreciation Index of 85. In the final ratings, the show was watched by 4.995 million viewers, making it the 2nd-highest-rated show for Saturday, the 21st-most-watched show of the week, and the 9th-highest-rated show on the BBC. The finale has come and gone and the last season of Peter Capaldi’s Twelve is over. As revealed at the end of the finale, the First Doctor is making an appearance (albeit not with the original actor, William Hartnell, who passed away in 1975). The Daily Mirror is reporting that Jenna Coleman is set to make an appearance, but that is not confirmed yet. After the finale, the BBC put out a press release and a promotional photo of the Doctors for the Christmas special. The BBC America site has up “Ten Things You May Not Know About ‘The Doctor Falls. '” The episode received an Appreciation Index of 83 and was watched by 3.75 million viewers, a share of 25.3% of the total TV audience. Those numbers will go up in the final figures. The Doctor Who news site has up the final breakdown of the Audience Reaction for season ten. There was a marked difference in reactions between age groups, but overall, no episode scored less than an 80 for the season. The final ratings are in for “The Doctor Falls.” The episode was watched by 5.295 million viewers, making it the highest-rated show for Saturday, the 16th-highest-rated show for the week and the 8th-highest-rated show on the BBC. According to the site, the average final rating for this series is 5.45 million viewers. Last year’s average was 6.03 million, leaving this season with a bit of a drop all together. The Exorcist: Actor John Cho (Star Trek) is joining season two as a series regular. He will be playing Andrew Kim, a “former child psychologist who runs a group home for five at-risk foster children on a secluded private island off the coast of Seattle.” The show has also cast Deadpool actress Brianna Hildebrand as a new series regular for season two. Fear the Walking Dead: Post the midseason finale, both EW and The Hollywood Reporter have up interviews with Dave Erickson. The Flash: Candice Patton won a Saturn Award and gave an interview to With An Accent about Iris in season four. TV Line has up an article on the possible DC comics story the show could be modeling its fourth season after. Actress Britne Oldford will be appearing in the premiere as Peek-a-Boo. Spoiler TV has up character descriptions for three new characters. Game of Thrones: EW has up a collection of the promotional photos for season seven. Variety has up an article with “seven things they know” about seasons seven and eight. Actor Aiden Gillen spoke with EW about what is coming up for Littlefinger. TV Line has up the episode descriptions and titles for the first three episodes of the season. EW has up an interview with Kit Harington in which he lets slip that there will be some tension with Jon and sister Sansa. They also have up an interview with Pilou Asbaek on the “new” Euron Greyjoy and with Nathalie Emmanuel on Missandei’s romance. EW has up the latest promotional photos for the new season. TV Line has up some photos from the premiere red carpet on their Instragram. Variety has up an interview with Sophie Turner on what is coming up for Sansa. The Gifted: Superherohype website has up the latest moving posters of the characters. iZombie: Comic Book.com has up an interview with Rob Thomas on season four. The Inhumans: The show finally has a premiere date: September 1. It also has a new trailer. Killjoys: TVGoodness has up an interview with Aaron Ashmore on season three. EW also has one up with Johnny’s portrayer. Luke Cage: The show has added two new cast members for season two: Mustafa Shakir (The Deuce, The Night Of) and Gabrielle Dennis (Rosewood). From the Marvel website: “Shakir has been cast as ‘John McIver,’ a natural leader, brimming with charisma, whose mission is focused on Harlem and vengeance … Dennis will play the role of ‘Tilda Johnson’ who is a brilliant, holistic doctor with a complicated history in Harlem where, as much as she tries to stay far from trouble, it seems to always find her.” TV Line is reporting that actress Lucy Liu (Elementary) will direct the season two premiere. Midnight, Texas: The Syfy site has up a breakdown of the new show based on Charlaine Harris’ book series. Marvel’s New Warriors: The show has cast actors Milana Vayntrub (This Is Us) and Derek Theler (Baby Daddy) as Squirrel Girl and Mister Immortal. Once Upon A Time: The show has added six new actresses to its reboot season. Gabrielle Anwar (Burn Notice), Dania Ramirez (Devious Maids), Adelaide Kane (Reign), Mekia Cox (Chicago Med), and English actress Rose Reynolds (Poldark). No word on who their characters will be yet, but reports say Anwar and Ramirez will be series regulars, while Kane, Cox and Reynolds are set to (initially) recur. EW has up a handy page of everything they know for season seven. Adam Horowitz posted on his Twitter feed the title for the premiere: “Hyperion Heights.” A lot of spoilers came out from the Disney Fan Expo. TV Line and EW have up articles on them. Big reveal is that Henry’s wife and the mother of his little girl is another version of Cinderella, played by new regular Dania Ramirez. Outlander: It’s being reported that writer Anne Kenney is leaving the show. The show also finally has a premiere date: Sunday, September 10. EW has up the first look at new character Lord John Grey. Shadowhunters: TV Line has up an interview with Dominic Sherwood about Jace’s romantic troubles. Stranger Things: The second season has a premiere date: Friday, October 27. Supergirl: In cool recast news, Smallville‘s own Lois Lane, AKA Erica Durance, will be replacing the unavailable Laura Benanti as Kara’s mom Alura. Teen Wolf: The second half of the final season finally has an air date: Sunday, July 30. TV Line has up an interview with Linden Ashby in which he states some dire news for some of the characters of the show. EW has up some photos of new Hellhound Halwyn, played by actor Casey Deidrick. There’s also a new trailer out for the final season, showing the returns of Derek and Stiles. The Vampire Diaries: The show may be over, but TV Line has up an interview with Paul Wesley on Stefan’s ultimate end. The Walking Dead: EW has up the latest promotional photos for season eight, featuring Carol and Daryl. Westworld: The show has cast The Leftovers‘ Katja Herbers as a new series regular for season two. Wynonna Earp: Variety has up an interview with lead Melanie Scrofano and showrunner Emily Andras on the latest show twists. EW has up an interview with showrunner Emily Andras on Wynonna’s pregnancy. Over at EW, the Spoiler Room has spoilers on shows Game of Thrones, Once Upon a Time, Shadowhunters, Midnight, Texas, and the Arrow-Flash-Supergirl-Legends of Tomorrow crossover. The latest Spoiler Room has spoilers on shows Teen Wolf, Shadowhunters and Arrow. At TV Line, Matt’s Inside Line has spoilers on shows The Flash, Arrow, Once Upon a Time, The Strain and Lucifer. The latest Ask Ausiello has spoilers on shows Arrow, The Originals and iZombie. We appear to be done for the summer with season 12 reruns. A summer show, Hooten and the Lady, is currently airing in their place. 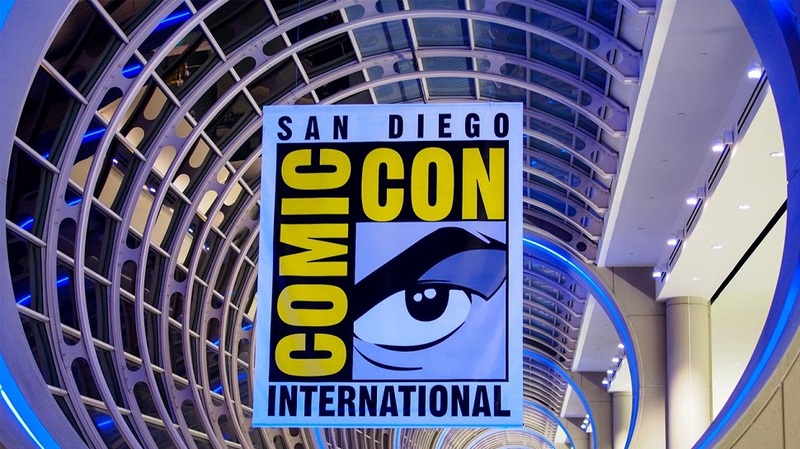 San Diego Comic-Con runs July 20-23, starting yesterday. You can find info and pics about con swag here. Apparently, it also now merits actual network social media attention. The show has another Comic-Con cover this year from TV Guide (you can find the interior articles here). The magazine also ran an article by show BNF S.E. Hinton in one of its regular issues (July 10-23). The show is back in Hall H Sunday morning at 10:30 (PST). The panel will last an hour and will probably be on the Comic-Con HQ streaming channel, albeit not live. It’s also the last show event of the con. No word yet on guests. Comic-Con put out its own official art for the show. Said art has a huge spoiler in it for a certain character’s survival. Sam, Dean and Castiel are all in it, though Crowley is not. There are glowing orbs in it and for some reason, Dean’s hand is also glowing. Let the crazy Hellatus spec begin. Our latest (and probably last for the summer) ratings for the show’s repeats came in at 0.2/1 and 0.88 million and 0.3/1 and 0.81 million.